is President of LUNAR, a leading global design firm whose clients have included Apple, HP, Cisco, Motorola, Philips, and dozens of startups. He is a guest blogger for Fast Company and a lecturer on design at Stanford University. 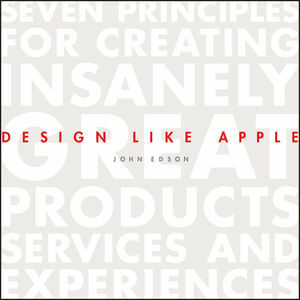 Together with its clients' teams, LUNAR designed the first Apple laptop, the PowerBook 100, the Oral-B CrossAction toothbrush, and the HP TouchSmart computer among a portfolio of other award-winning and market-defining products. Chapter 4: Design Is Systems Thinking: Product and context are one.